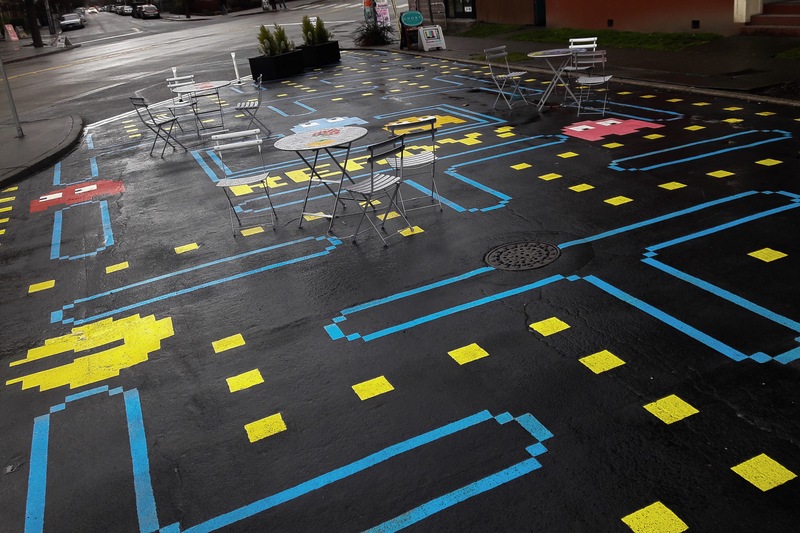 Picture of Today 2/18/17, Pac-Man Fever..
A little side-walk art in Seattle’s Capital Hill district, placed last year by the Seattle Department of Transportation. I think it’s cool, if not to think too much of it all. I mean the growing tech, hipster culture engulfing the area. To me, the Pac-Man represents the simplier era of video game machines past scattered within various barber shops, video stores, small markets, pizza joints, and cool hang-outs. Such is to be remembered in whatever way now brings a smile, especially in public. Posted on February 18, 2017 by Orion T.	This entry was posted in Seattle and tagged gameart, pacman, Seattle, sidewalkart, videogames. Bookmark the permalink.